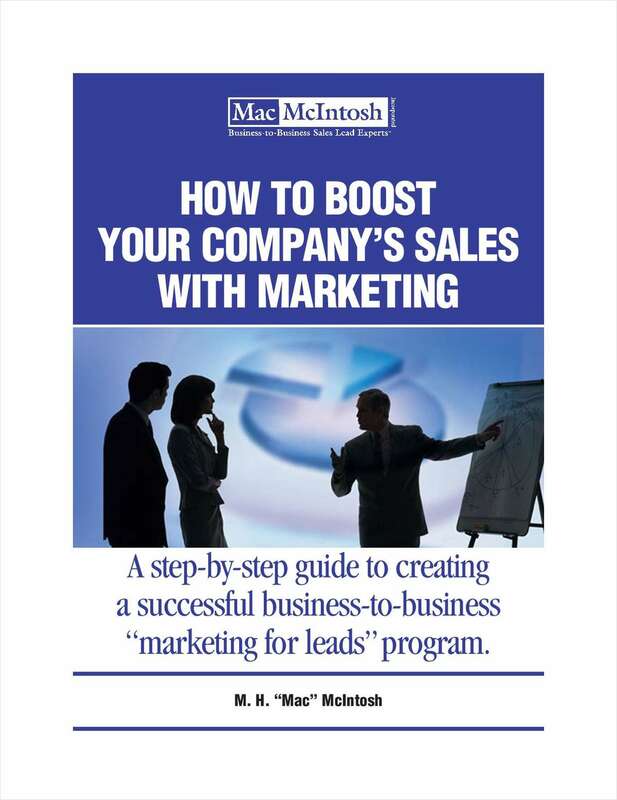 "How to Boost Your Company's Sales with Marketing"
Free Guide: "How to Boost Your Company's Sales with Marketing"
This step-by-step guide will help you create a successful business-to-business “marketing for leads” program. Yes! Please subscribe me to "Sales Lead Report", Mac McIntosh's informational newsletter for B2B sales and marketing professionals. Please have B2B Sales Lead Expert Mac McIntosh contact me. I am interested in learning more about improving my company's B2B sales and marketing with new strategies and techniques.